In partnership with IAAF, the World Mountain Running Association has announced seven exciting races for the 2019 edition of it’s 21st annual World Cup. For the first time since 2003, there will be a US race in the series – the Broken Arrow Skyrace. 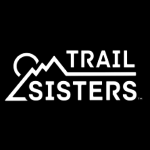 Broken Arrow is an American Trail Running Association member event taking place in Squaw Valley, California on the same weekend as the Western States 100 Mile Endurance Run. These seven races take place in seven different countries. The events feature a total of 140km of mountain racing tracks with 9300m+ of elevation and 5600m- of descent. Total prize money from all of the races and the WMRA overall series money will be approximately 56,000 euro. Here is the 2019 WMRA World Cup race calendar! RACE #1 – 24 May (start Friday 19h) – Salomon Gore-tex Maxi Short Race FRANCE, Annecy. 16,5 km (945 m+ and 990 m-). Point to point course. 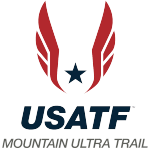 RACE #2 – 23 June – Broken Arrow Sky Race USA, Squaw Valley. 26km (1550 m+ and 1550 m-). A Loop course. RACE #3 – 14 July – Grossglocknerlauf AUSTRIA, Heiligenblut 12,7km (1495 m+ and 370m-). A mainly uphill point to point course. RACE #4 – 20 July – Snowdon International Mountain Race WALES, Llanberis 15,5km (995 m+ and 995 m-) on a loop course. RACE #5 – 11 August – Sierre Zinal SWITZERLAND, Sierre 31km (2200 m+ and 1100 m-) This is a mainly uphill; point to point course. RACE #6 – 14 September – Drei-Zinnenlauf ITALY, Sexten/Sesto 17,5km (1350 m+ and 250 m-). A mainly uphill; point to point track. RACE #7 – 12 October – Smarna Gora SLOVENIA, Ljubljana 10,0km (710 m+ and 350 m-). On a mainly uphill; point to point course. 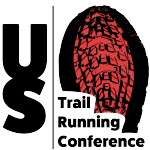 “Every runner can come and join us and enjoy these great events in some of the most beautiful mountain scenery – come and run the World Cup.” WMRA President Jonathan Wyatt. PHOTOS: Damiano Benedetto / Corsa in Montagna.